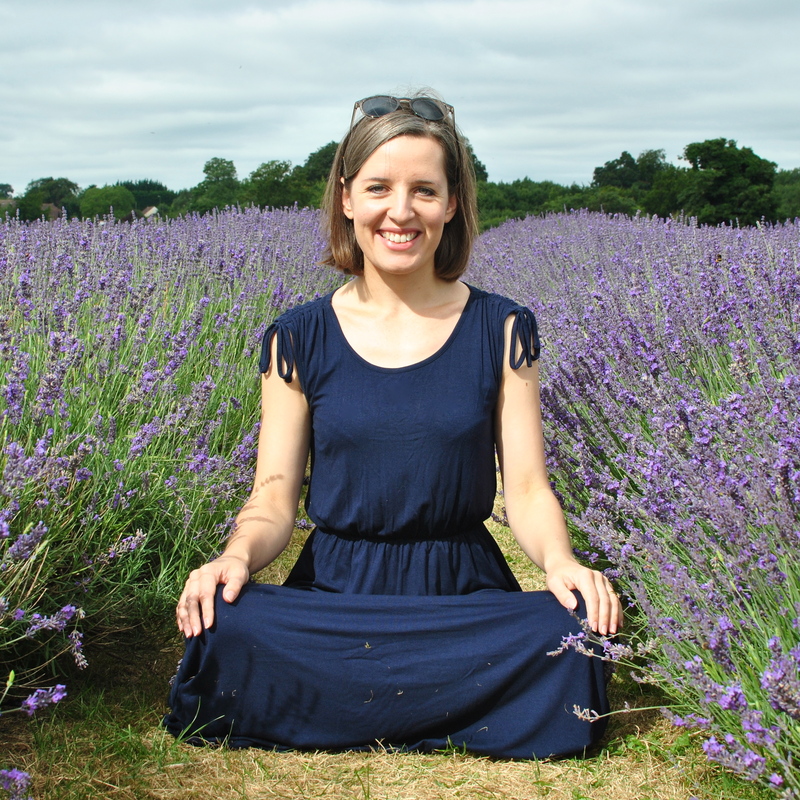 Hi there, I’m Beth, a yoga teacher based in London, Purley and Caterham in Surrey. I look forward to supporting you to find your own way to wellbeing through yoga. Here’s a bit about me, my yoga journey, and my life off the mat. British Wheel of Yoga Accredited Diploma with Elena Voyce at Teach Yoga Ltd (2017). Yoga Alliance Accredited 200 hours certificate in Yoga Teaching with Elena Voyce at Teach Yoga Ltd. (2016). Yoga for Anxiety and Depression with Lisa Kaley-Isley at YogaCampus (2018). Total Yoga Nidra Immersion Experience with Uma Dinsmore-Tuli at YogaCampus (2018). The Art of Teaching One-to-One (Embodied Relational Yoga Teaching) with Kate Ellis Yoga (2017). Teaching Yoga for Stress and Adrenal Glands with Gee Gahir, 2020 Holistic Health (2017). Teaching Yoga for Stress and Burn-out with Charlotte Watts and Leah Barnett at YogaCampus (2016). I have been practising yoga regularly for over a decade but my yoga journey began as a child, accompanying my mum to yoga classes in rural west Wales in the 80s and 90s. I kept dabbling with yoga during my university years and a gap year in Nepal and India but it was after moving to London in 2005 that yoga became a priority. I was struggling to come to terms with a recent bereavement, and later a difficult job situation and other personal issues, with symptoms of depression and anxiety. No matter how busy I got, I protected time for my weekly yoga class and it helped me feel more grounded, calm and centred when my mind was scattered and life felt out of control. My yoga practice has since become my number one way of dealing with the stresses of life. And I learn more about myself every time I step on my mat. Over time I started to explore the therapeutic power of yoga, seeking it out during times of distress and upheaval, gradually developing a personal practice, and a much deeper understanding of the body-mind connection. It is no coincidence that I chose to do my Yoga Teacher Training under renowned therapeutic yoga teacher Dr Elena Voyce at Teach Yoga. My teacher training with Elena and her team of expert yoga teachers gave me a solid foundation in asana, pranayama, anatomy, physiology, philosophy, and teaching skills, followed by specialist modules in yoga for stress, back care, and posture. I started teaching a workplace yoga class in central London in April 2016, before setting up a public class in Purley in November 2016, and taking on private clients in January 2017. It is such a privilege to guide my students in their yoga practice, and I learn just as much from them as they do from me. I continue to develop my knowledge through additional training, including completing one of the only training courses in the UK on teaching yoga one-to-one, with Kate Ellis. My specialist area of interest is teaching yoga to address symptoms of stress, anxiety, low mood and fatigue, and this influences my teaching style in classes and in private tuition. I draw on all this experience to continually develop my own practice, to keep learning, and to support my students to find their way to balance, resilience, calm, and happiness through yoga. Join me for classes or workshops, contact me about private yoga tuition or workplace yoga, or subscribe to my newsletter for regular insights and inspiration. I’m an introvert with a sense of adventure, a new mum, a cat-loving coffee-drinker, and a science geek with an open mind. I love helping people towards wellbeing in all kinds of different ways. I do this in my day job as a social researcher at Traverse, from helping clients understand and evidence their social impact to enabling people to have a say in the decisions affecting their lives. Other things I love to do are writing, camping, travelling and exploring, curling up with a good book, spending time with my small group of wonderful friends, and hanging out with my husband and baby daughter.